WILMINGTON, Del. 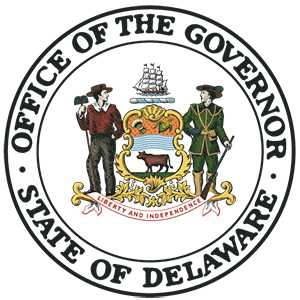 – Governor John Carney signed a letter on Friday opting into a federal First Responder Network Authority (FirstNet) plan to build a wireless broadband network intended to improve communications for first responders across the State of Delaware. The FirstNet plan would allow Delaware police agencies, fire and EMS responders to communicate more effectively by prioritizing their cellular phone calls and data requests on the network. Governor Carney’s decision to opt-in allows FirstNet to move forward in building out a broadband network that, if implemented, would allow for efficient communications among emergency responders. “In addition to the potential benefits opting in to FirstNet can provide to our public safety personnel, this decision also helps us to advance our priority of expanding broadband options in rural, underserved areas of our state,” said James Collins, Chief Information Officer at the Delaware Department of Technology and Information. FirstNet is an independent authority within the U.S. Department of Commerce. Authorized by Congress in 2012, its mission is to develop, build and operate the first nationwide, high-speed, broadband network that equips first responders to save lives and protect U.S. communities. FirstNet will build, operate and maintain a secure wireless broadband communications network at no cost to the state.